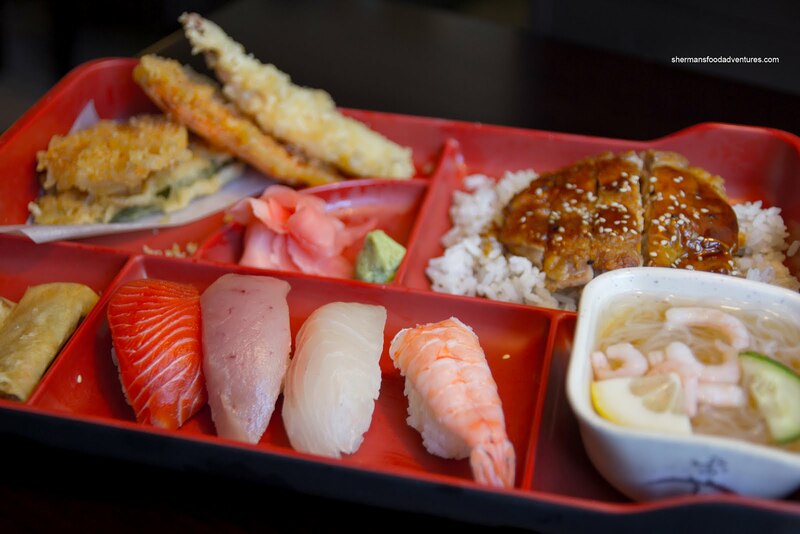 If you ever take a look at Urbanspoon's top 100 restaurants in the GVRD, for some reason or another, it includes this little Japanese restaurant out in Ladner. Maguro is its name and being good where it is located is its game. 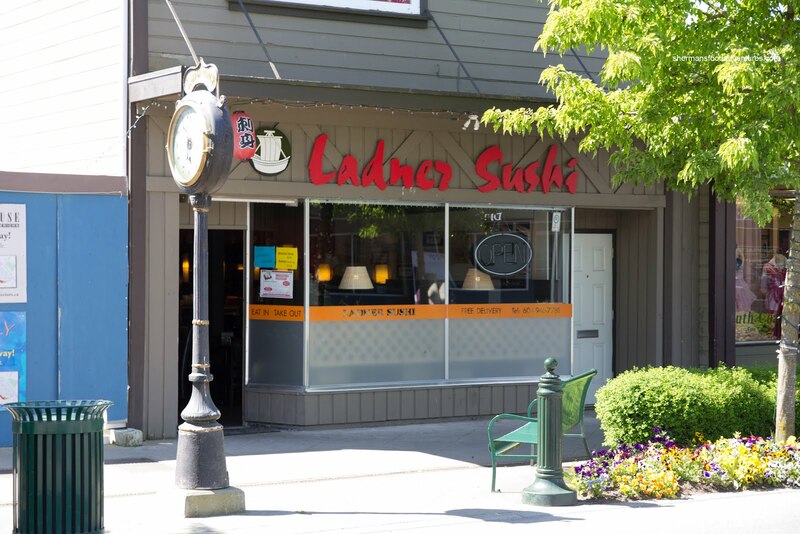 That's right, the fact that there are very few other competing Japanese restaurants make it by default, "the best in Ladner". Now if we had to compare it to a place such as Octopus' Garden or Ajisai, it wouldn't even come close. With that being said, it is above average. So when I heard from a local that there was another Japanese restaurant to rival Maguro, I needed to see for myself. And really, I did go by myself... 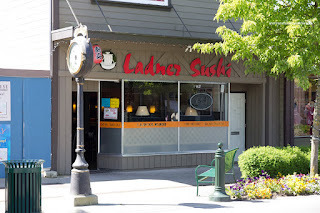 Imagine that, no one willing to join me for a meal in Ladner. What? Is it really that far away? I guess so for most people eh? For me - will travel for food. So the best thing to do while eating alone is to get something that is most representative in one tidy package. That happened to be Lunch Bento Box C which included tempura, chicken teriyaki on rice, spring roll, 4 pcs of nigiri (salmon, tuna, tai and ebi), ebi sunomono and miso soup. I found the tempura to be slightly greasy while still crisp and light. The teriyaki chicken was moist and fried nicely. The rice had a bite and the typical sweet sauce was conservatively drizzled on top. I'm not going to comment on the spring roll for obvious reasons. The fish for the nigiri was good and the rice was okay being slightly on the stickier side. It did have some flavour, but was not very impactful. Lastly, the sunomono had an nice balance of sugar and vinegar. Even after the box, I thought I needed to try one more item and for some odd reason, I went for the Ramen. Yes, not a ramen joint, why order ramen? I took this into account when eating it. The noodles were actually good having a bite. 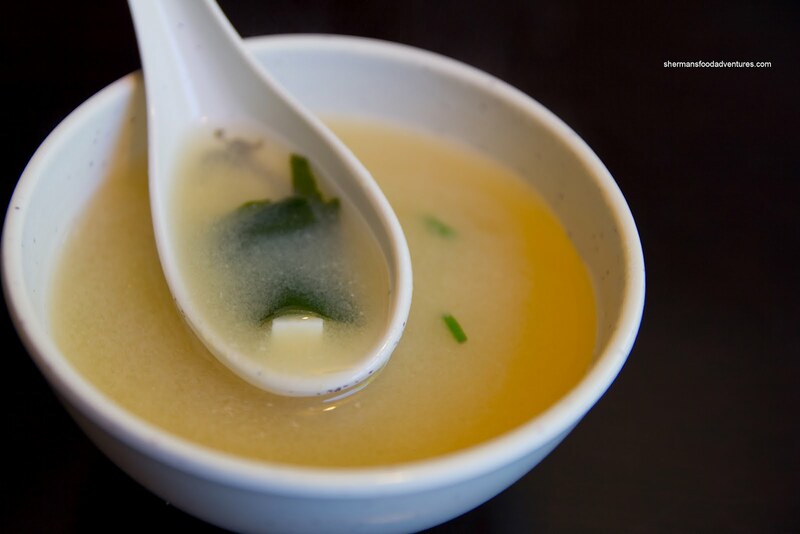 The soup was not full of depth, yet it did have plenty of flavour though. The pork was terrible though since it was chewy and obviously freshly cooked for the ramen. I will cut them some slack though. 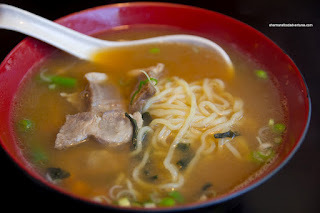 For the things I did try, the pork in the ramen withstanding, the food was more than acceptable, especially for Ladner. Hey I was just there a couple of weeks ago. I work in Delta now, around Tilbury area ..... lunch options extremely limited, good lunch options .... zilch ! So one day I broke down and drove to Ladner for some eats. Freaking 99/19 interchange ..... can't wait for S. Fraser Perimeter Road to complete and take all the heavy trucks traffic off of River Rd. Lunch ..... I had a chicken katsu on rice. Small portion, small price ($6 ?). It was alright, didn't set me on fire. Actually I expected worse.